Sometimes, galaxies collide, or pass close enough to affect each other through the force of gravity. Astronomers call these collisions and forces "interactions" of galaxies. Some interactions seen by the SDSS are shown below. Click on any interaction to see it in the Navigation tool (the tool will open in a new window). To learn more about galaxy interactions, see the Galaxies project. 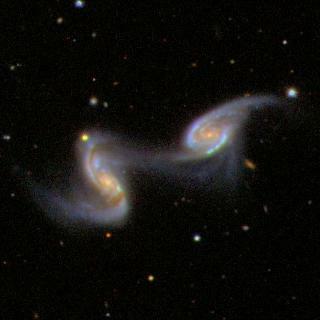 ARP 240, an interacting pair of galaxies. Note how the galaxies have distorted each other through their mutual gravity. Another pair of violently interacting galaxies. 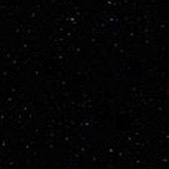 The brighter object is called UGC 08584. 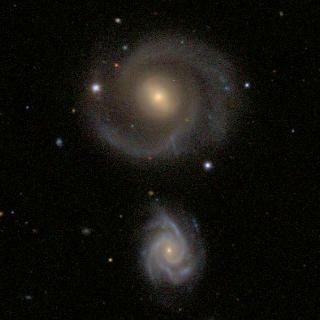 Two well-known spiral galaxies, NGC 799, and NGC 800, very close together. NGC 428, a spectacularly blue nearby spiral galaxy. 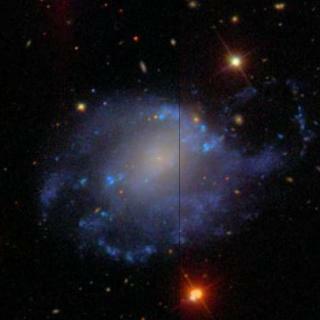 The blue color indicates very active star formation in this galaxy. 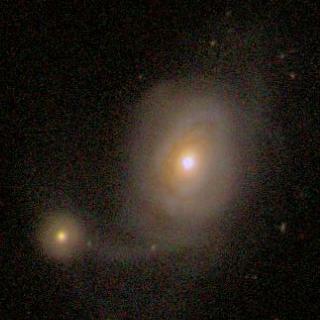 UGC 10770, a young spiral galaxy, undergoing a collision. This object is mentioned in many catalogs of interacting galaxies (ARP, etc). NGC 7603 and PGC 07041, an interacting pair. 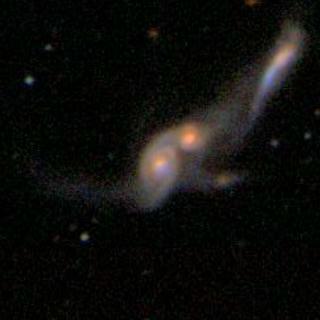 Notice the "bridge" of stars and gas between the two galaxies. The bigger object, NGC 7603, is a well-known Seyfert galaxy. 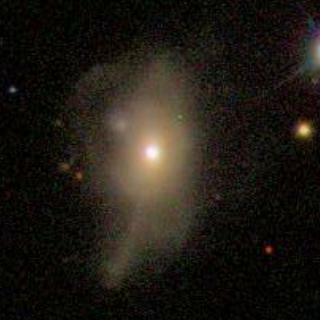 Seyfert galaxies have small, bright, active cores. UGC 1597, a Seyfert galaxy with an active core. Notice the disturbed appearance of the galaxy. 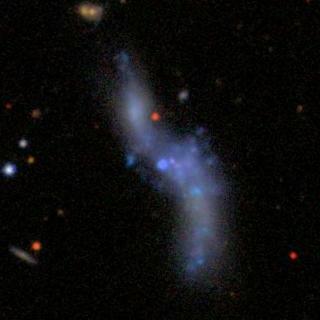 This object may be the remnant of an old collision between two galaxies. As a by-product of the collision, gas from one galaxy is being dumped onto a black hole at the center of the other galaxy, giving rise to the active core. 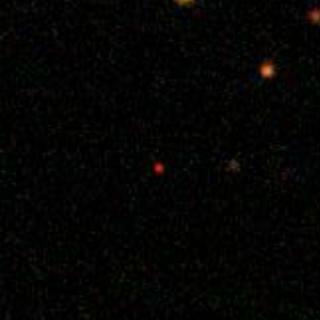 The faint reddish object is a distant quasar (redshift z=5.0). Quasars are the most luminous objects in the Universe. They consist of a giant black hole in the center of a host galaxy. This object was the first to exceed the magic distance threshold of z=5.0. To learn more about redshift, see the Universe project. To learn more about quasars, see the Quasars project.